At Your Horse magazine, the only summer body that we're bothered about is that of our horse. With the weather getting warmer and the yard BBQ already in the calendar, we asked Emily Smith, Director of Nutrition at Feedmark, for her top tips to help get our horses in great condition for the summer. You've packed away the winter rugs, you've de-ragworted your field and hacking of an evening doesn't seem like such a crazy idea anymore. The summer is a great break for horse owners after the limited daylight hours, mud and poor riding weather of the winter months. 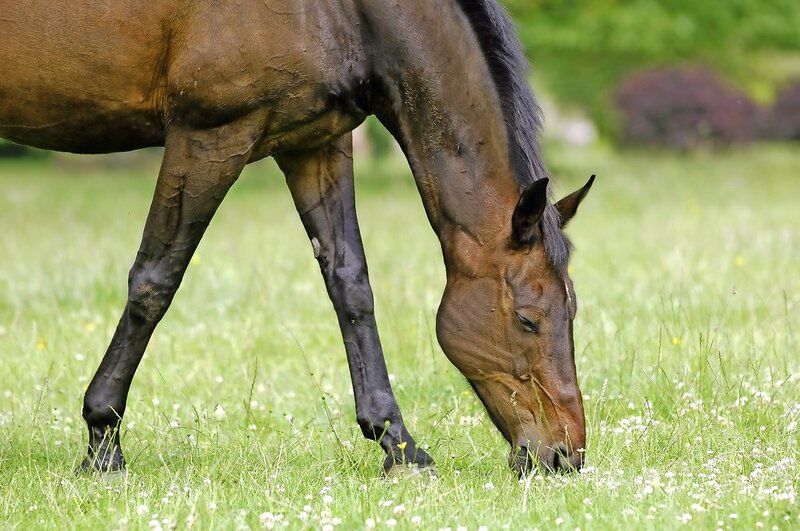 Unless, of course, your horse is affected by one of the common summer conditions, (such as pollen allergies or sweet itch) but there are still some things to consider as the weather gets warmer, to ensure our horses are in top form over the summer. Hard ground, especially if it's a bit rutted, puts a lot of additional strain on your horse’s joints. Try to minimise hard or fast work on hard ground, and consider feeding a quality joint supplement that contains recommended levels of joint health ingredients. A lot of horses will work harder over the summer, and due to hotter weather, even those that are not being worked are more likely to sweat. If your horse is in medium work, has a known muscular issue, or if we're having a hot spell, it’s advised to feed electrolytes daily to ensure that your horse doesn't end up deficient, which can lead to decreased thirst (despite losing water), and hence dehydration. Other problems caused by electrolyte deficiencies include a reduced performance, lethargy, exhaustion and muscular issues. Flies are a horrid nuisance, for both horse and rider. They can be really distracting for your horse, and may cause behavioural issues which can affect your pleasure when riding him. Flies also spread infection and delay wound healing. If your horse has an open wound, or is particularly disturbed by flies, consider stabling at times when the flies are worse. Fly rugs and masks can help, as well as topical sprays, and you can feed supplements to deter flies too - most of these will be a blend of potent aromatic herbs and spices designed to make the skin smell and taste unpleasant to flies and insects, and stop them from biting. There's nothing better than giving your horse a freshen up after the winter, so a long pamper session to get some of the dirt out of his coat will make him feel much better. Summer is the best time for a bath! Washing your horse is a big job, so make sure you have the time to do it before you get underway. Don't forget to give him a spray of fly spray after so he's set to go out in the field feeling fresh.